Karachi : OPPO, the Selfie Expert and Leader is all set to introduce the new OPPO F7, powered by Artificial Intelligence (AI) as the latest addition to its Selfie Expert series. Focusing on innovative technology the new OPPO F7 is packed with a vast array of new features and benefits, further strengthening the company’s leadership position as the Selfie Expert and Leader amongst the Pakistan youth. 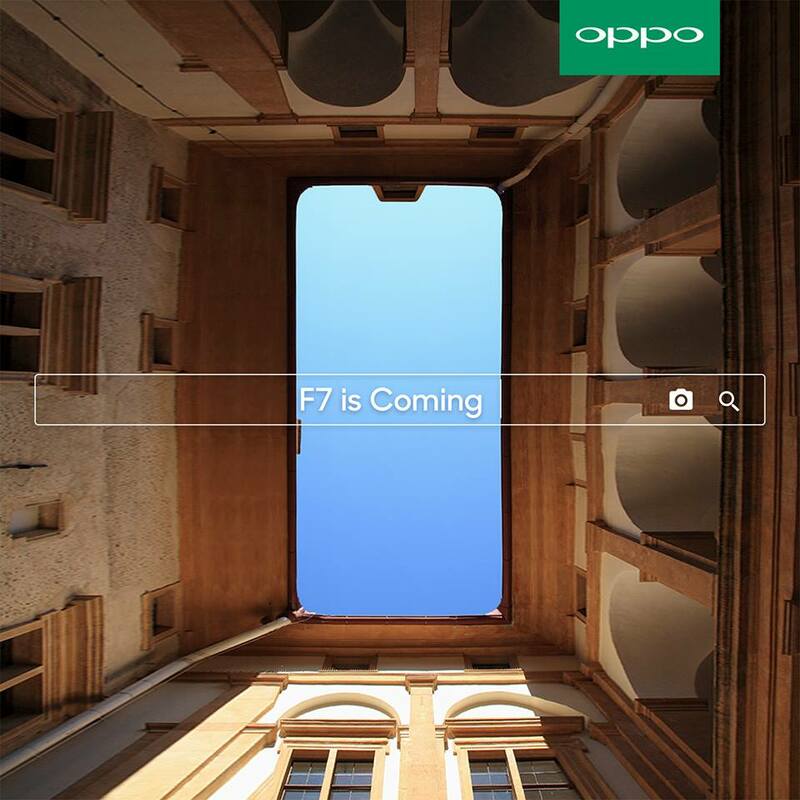 The F7 will be launched on third week of April. OPPO introduced AI Beauty Recognition technology with the F5, making selfies more real, natural and personalized. Now, the OPPO F7 will further advance the technology with second-generation AI Beauty 2.0. It features a 25 MP front camera with real-time High Dynamic Range (HDR) technology, plus new features including AI Beauty 2.0, Cover Shot, and AR (Augmented Reality) Stickers. The OPPO F7 will not only take selfies to the next level, producing the most refined and vibrant photos, but also make them a lot more fun. With the 25MP AI Beauty Front Camera and Real-time HDR Technology, images taken with the OPPO F7 will have a greater range of luminance levels when shot both in bright sunlight and shade. The contrast and color range of the pixels are expanded to reveal more detailed, brighter and more vibrant selfies. Along with the power packed 25Mega Pixel front camera comes an industry first, inbuilt Sensor HDR feature. Taking the perfect selfie has never been easier with this attractive feature. The Sensor HDR technology is a default feature in the new OPPO F7 which will help you in clicking flawless selfies as it’s a combination of impeccable colors and incredible contrast. For the youth who is always busy uploading pictures on social media, the powerful hardware of OPPO F7 plays a major role as the imaging speed is faster resulting in a more colorful, clearer picture in varied light conditions. The HDR feature can also be used along with the A.I beauty mode for the consumers who are looking for the ideal selfie. This feature can be used both in taking a picture or capturing a video. The OPPO F7 introduces a lot many AI powered features which will make it your best accessory. • The AI Album which will automatically group photos by faces, places, and scenes on the basis of multiple search tags and editing tools. The other part of the AI Album is the new Moments feature will help the user quickly recall precious moments a photo was taken, for example, birthdays. • The AI Board feature which is a split-screen feature where the user can place his favorite apps. It intelligently sorts out key meetings and schedules, travel or movie tickets and e-commerce order status by recognizing emails and text messages. The AI technology also powers F7 system management. The AI Manager allocates the processing power of the 64-bit 4GB Octa-core processor (6GB for the 128GB version) intelligently, making sure the phone runs at its best, 80 percent better than its predecessor – the F5. The AI also manages power usage, to allow for longer battery life.